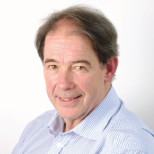 Jonathon Porritt, co-founder of Forum for the Future, is a writer, broadcaster and commentator on sustainable development. He is a non-executive director of Willmott Dixon Holdings and a trustee of the Ashden Awards for Sustainable Energy, and is involved in the work of many non-governmental organizations. Among other former roles, he has served as director of Friends of the Earth; co-chair of the Green Party; and chairman of the UK Sustainable Development Commission.